What is the Best Curated Definition of Content Curation? 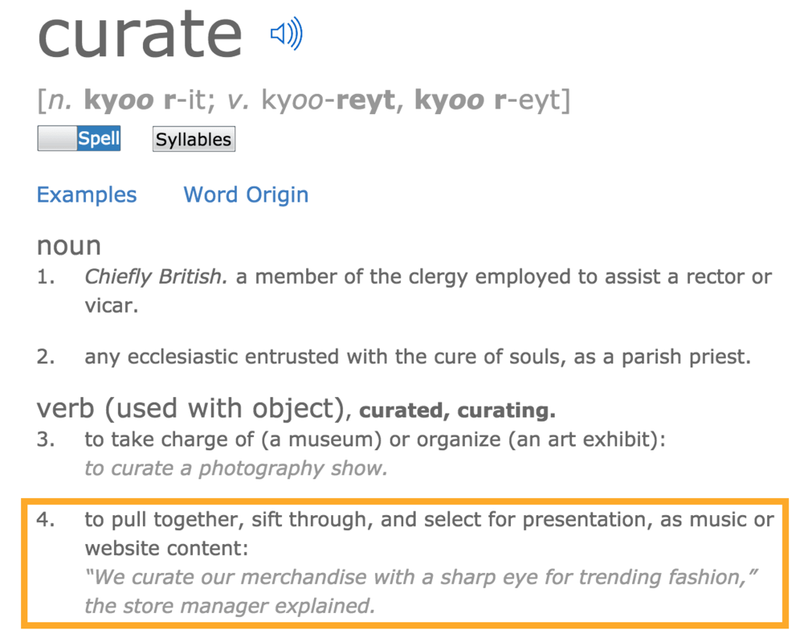 What Exactly is Content Curation – A Curated Definition? Content curation is the process of sorting through the vast amounts of content on the web and presenting it in a meaningful and organized way around a particular theme. The work involves sifting, sorting, arranging, and publishing information. A content curator cherry picks the best content that is important and relevant to share with their community. It isn’t unlike what a museum curator does to produce an exhibition: They identify the theme, provide the context, decide which paintings to hang on the wall, how to annotate them, and how to display them for the public. First, a content curator is “someone”. Content curation cannot be performed solely by an algorithm. It involves a person who is a domain expert in the middle to be selective and add value during the process. Secondly, it’s something that needs to be done “continually”. Other forms of offline curation can be performed once (such as curating an art gallery). 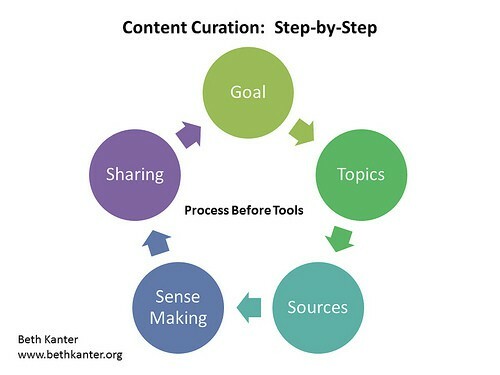 When it comes to online curation, a good content curator is continually and consistently staying on top of a topic area as a trusted resource for their audience. Third, a curator is not just regurgitating any content that they come across, but they are very discerning, discriminative, and selective in only sharing the “best and most relevant” content. Lastly, a curator focuses on “a particular issue”. They do not curate on all topics under the sun. Instead, they specialize on a single specific topic and over time have the opportunity to become an authority and perhaps even a thought leader on that subject. Curation is the act of turning the noise into meaning. 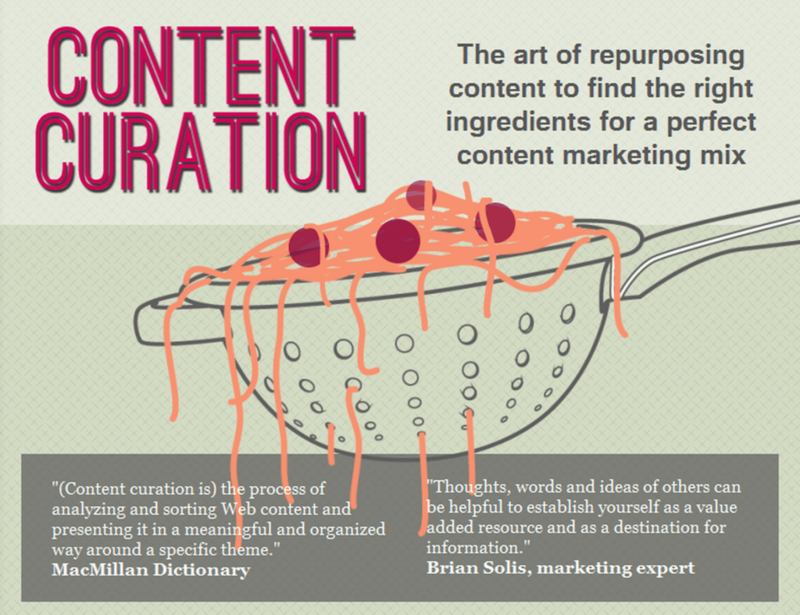 Are you starting to see a consistent theme with the various definitions of content curation? Content curation is to…sort through, present in a meaningful way, cherry pick and humanize the best and most relevant content for your audience. As a result, we don’t need more information; we need help finding the important stuff fast. 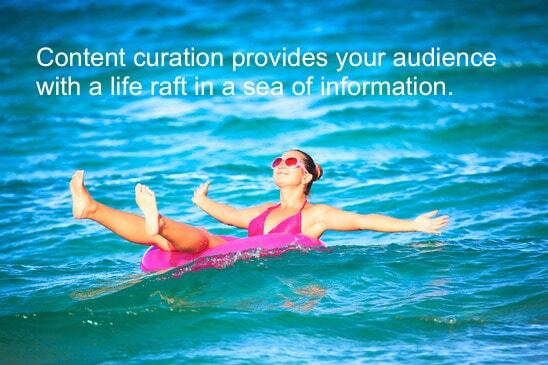 Content curation provides your audience with a life raft in a sea of information. Next up is to drill down into what a great content curation strategy looks like. 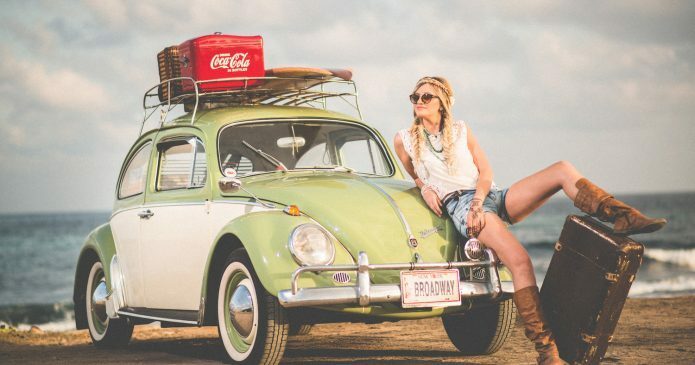 Have any great tips and tools to share on content curation?